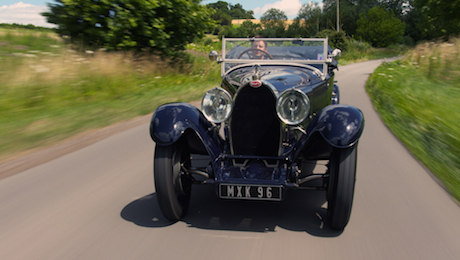 Bugatti – a name that is synonymous with records, speed and aesthetic shapes. We tell the story of a family that is still a myth today despite – or perhaps because of – its turbulent past. Bugatti – a name that’s synonymous with records, speed and aesthetic shapes. We tell the story of a family of fanatics. Father Carlo Bugatti was a painter, designer and architect who designed extravagant furniture for European dynasties at the end of the 19th century. He initially had different plans for his sons: Ettore was to become an artist and Rembrandt an engineer. 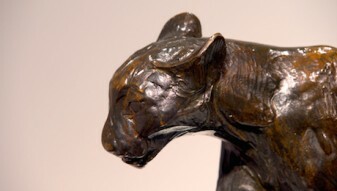 But things didn’t quite turn out that way: Ettore built technical masterpieces, his brother Rembrandt, who took his own life in World War One, produced sculptures, especially animal sculptures cast in bronze, that were no less spectacular. They all created works of art worth millions that delight car collectors and fine art enthusiasts alike and are on show in numerous museums and private collections around the world. And this is also true of the work of Ettore Bugatti’s son Jean, who built the world’s most expensive car ever, the Atlantic. 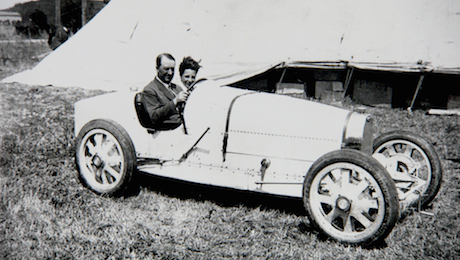 The story of the Bugatti family is closely intertwined with recent European history: Italian-born Bugatti started building cars in Alsace when it belonged to Germany, then went to the Rhineland, but finally returned to Alsace after it had become French once again. A story that is still a myth today despite the family’s turbulent past.